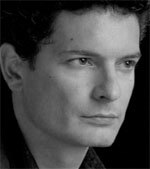 Nick Garrett studied voice and piano at Trinity College, London and is the recipient of a Wolfson Foundation Award. He has sung over forty operatic roles including Don Giovanni, Scarpia and Figaro and has performed for many of the great houses including the Royal Opera, English National Opera and Opera National de Paris. Although Nick’s roots are firmly in opera, his repertoire crosses all musical boundaries and he has performed music worldwide from Boulez to Radiohead. Nick is an accomplished pianist and composer and was a founding member and vocal arranger for the multi-platinum selling quintet ‘Amici Forever’.